The hottest 2017 engagement ring design trends are about showing off personality and creativity. It’s about creating a look that’s all you. We’re also seeing that these four trends don’t have to stand alone—they’re being combined in ways that are unique, interesting and cool. 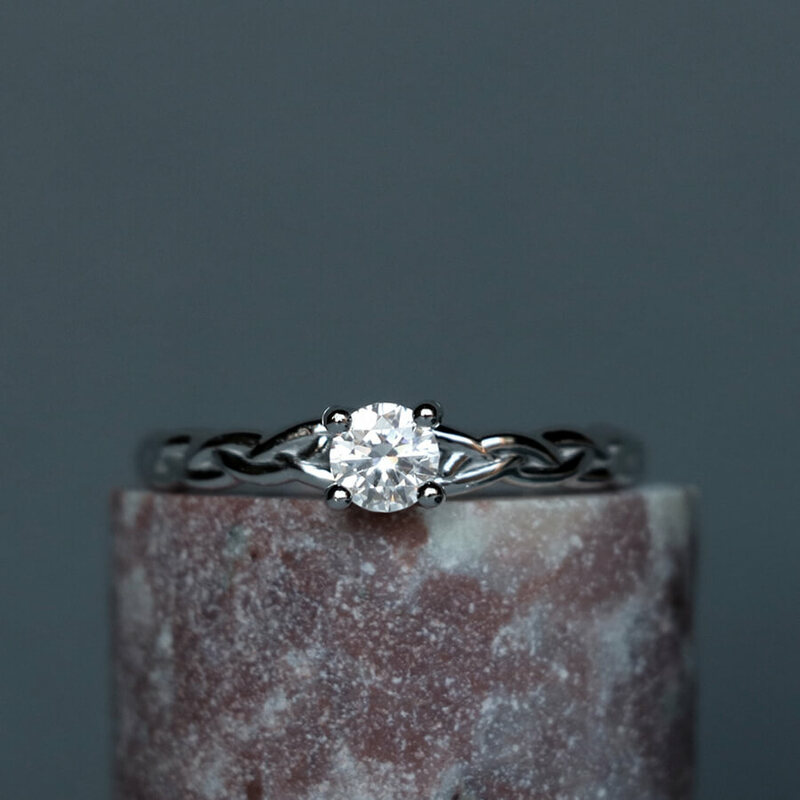 The ultimate way to add your own unique flair to a ring is with an asymmetrical design. This is a new trend we’re seeing that feels very 2017. It is a versatile trend that can be bold or subtle—but either way, these rings stand out. 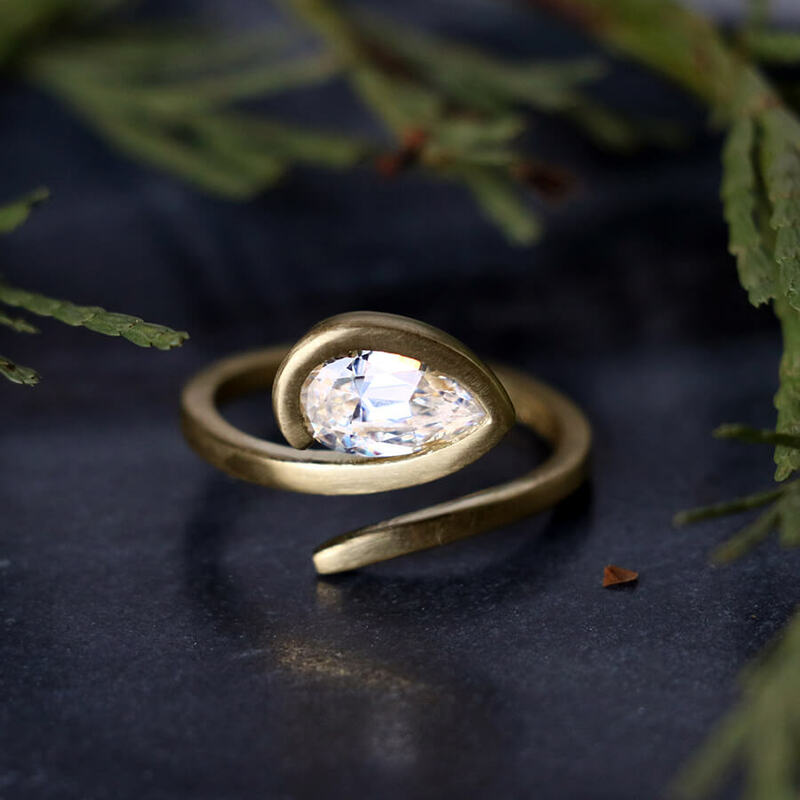 Asymmetrical in both stone shape and band design, this petite ring wraps around the finger with a sense of flowing motion. A subtler take on the trend makes the most of the Trillion cut. 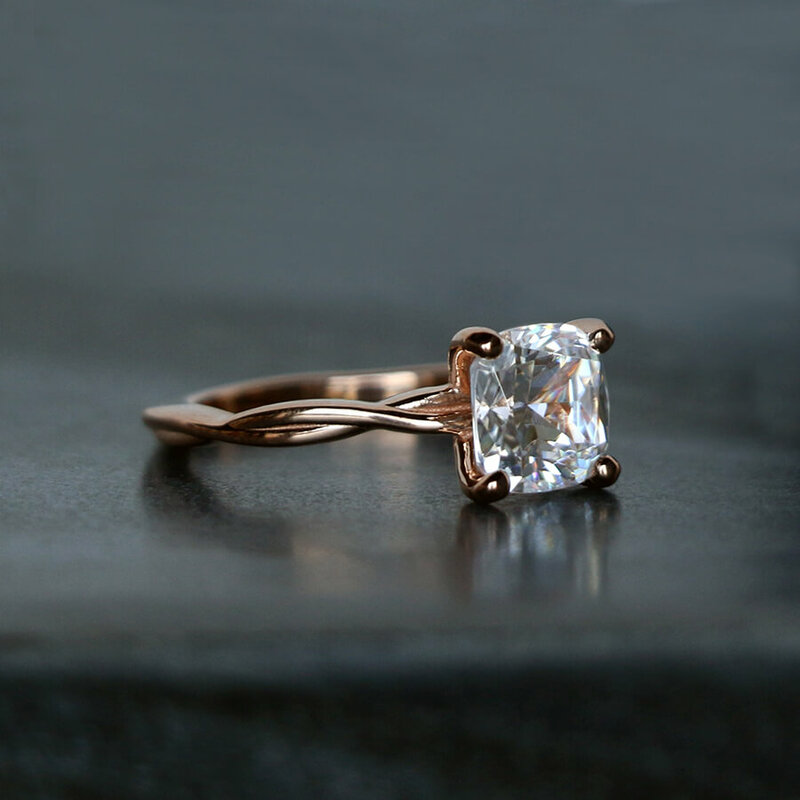 The split band accents the wider side of the center stone, and the single band flows into the stone’s point. This bold design is a play on a traditional accented band. The swooping band and Pear cut stone will elongate the hand. Halos aren’t just for Round or Princess cut stones anymore. Adding a border of accents around any stone shape adds an element of freshness that distinguishes these halos from the popular trend of 2016. This take on a double halo pulls inspiration from the heavens. The scalloped edge is reminiscent of a star, and the detailed metalwork adds a vintage feel. 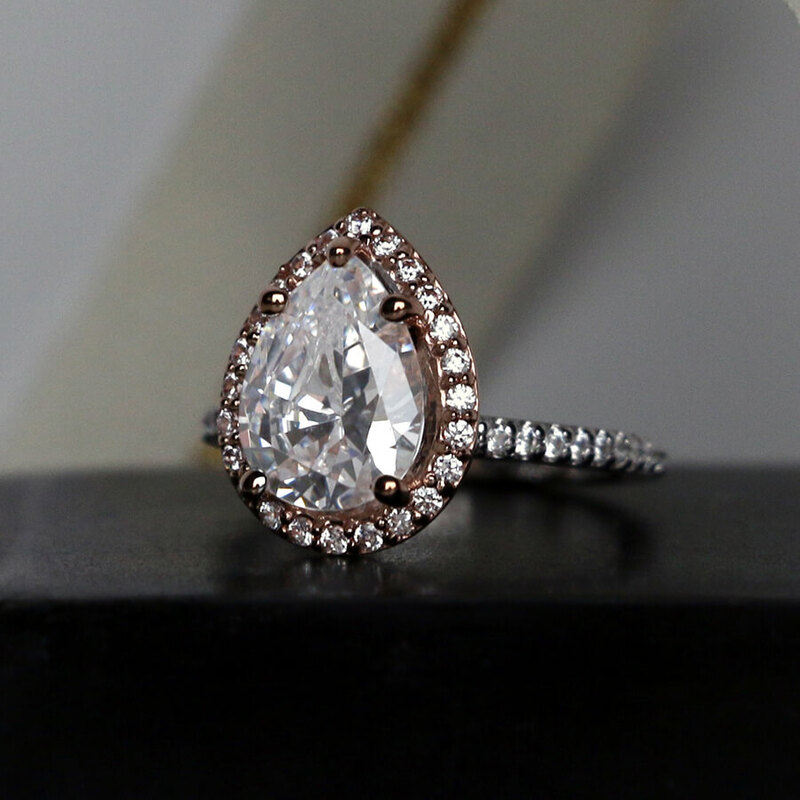 The Pear cut halo has strong elements of vintage glamour. In this design, the addition of white and rose gold makes the design feel modern and fresh. 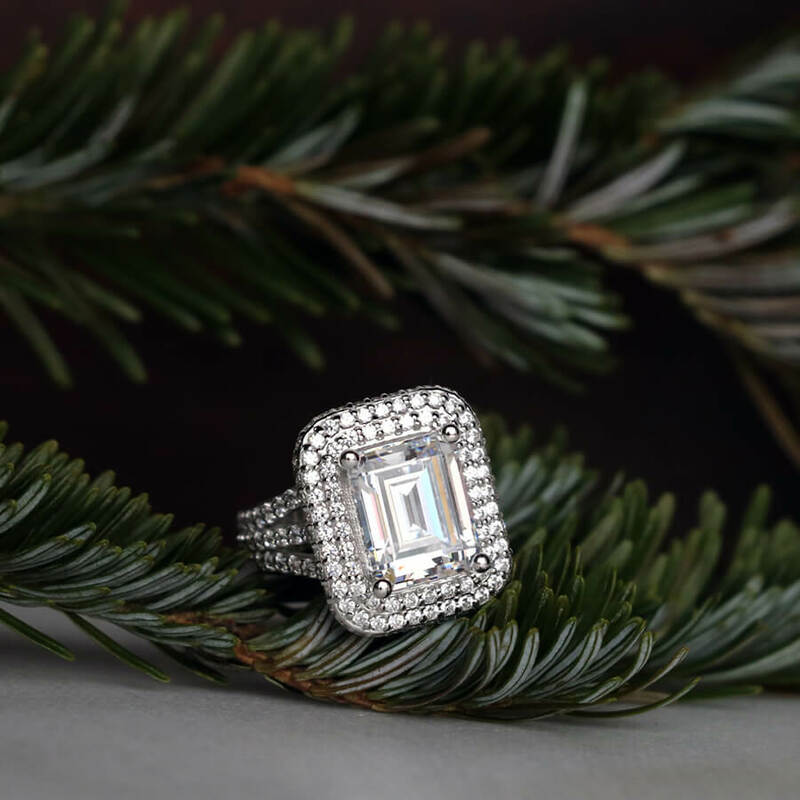 An Emerald cut center stone surrounded by a halo is the ultimate modern design. The clean lines of the step cut facets are super elegant, and the halo gives it trademark sparkle. 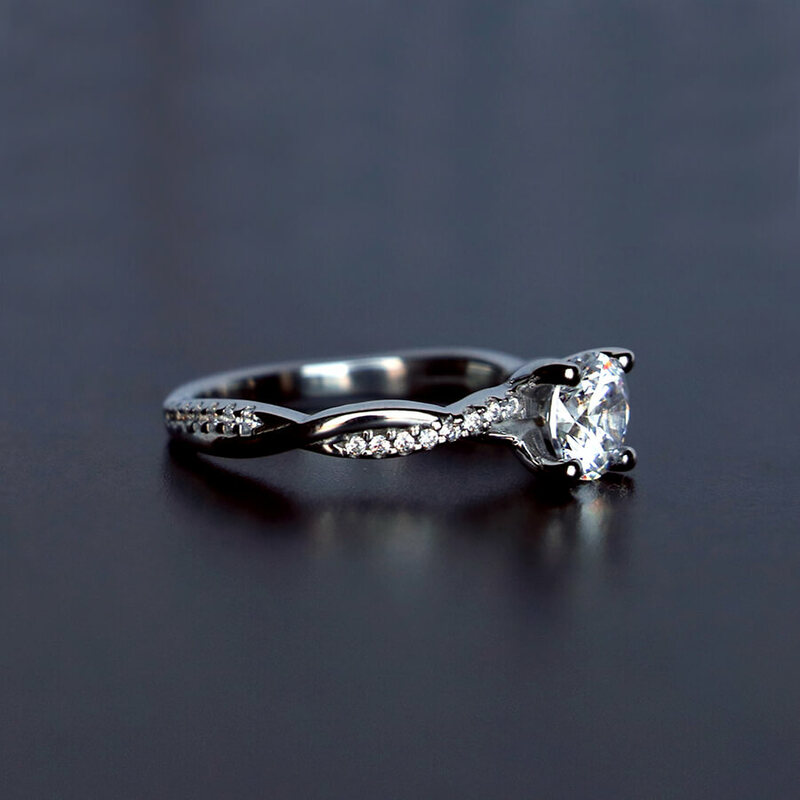 The symbolism of intertwining and twisted bands is beautiful: Combining two lives into one. 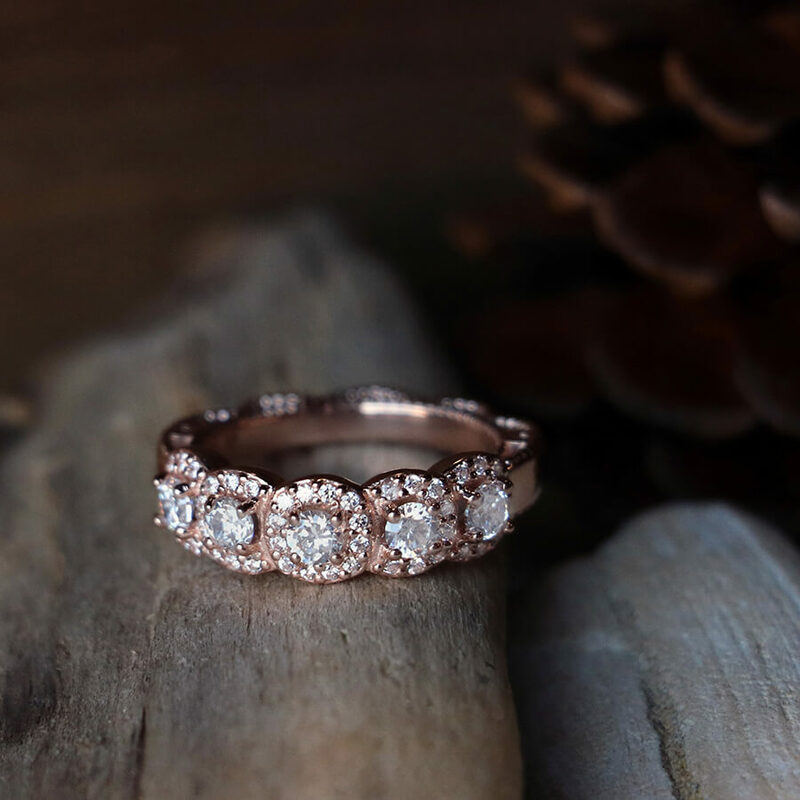 This trend shows delicate bands woven together to create a strong yet dainty look. 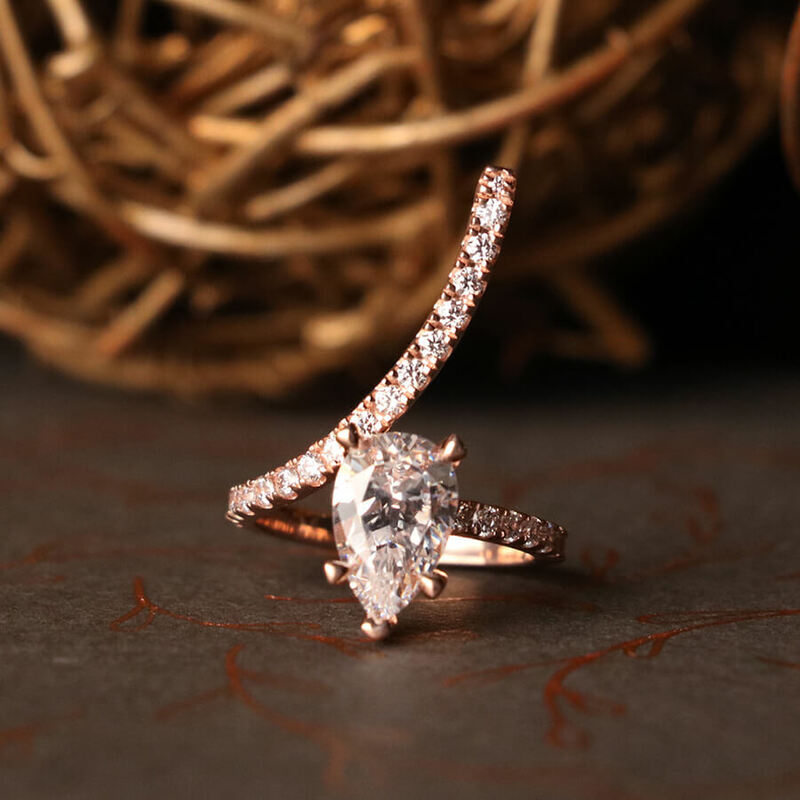 A slow twist of two bands looks very dainty, which makes the solitaire stone look larger. 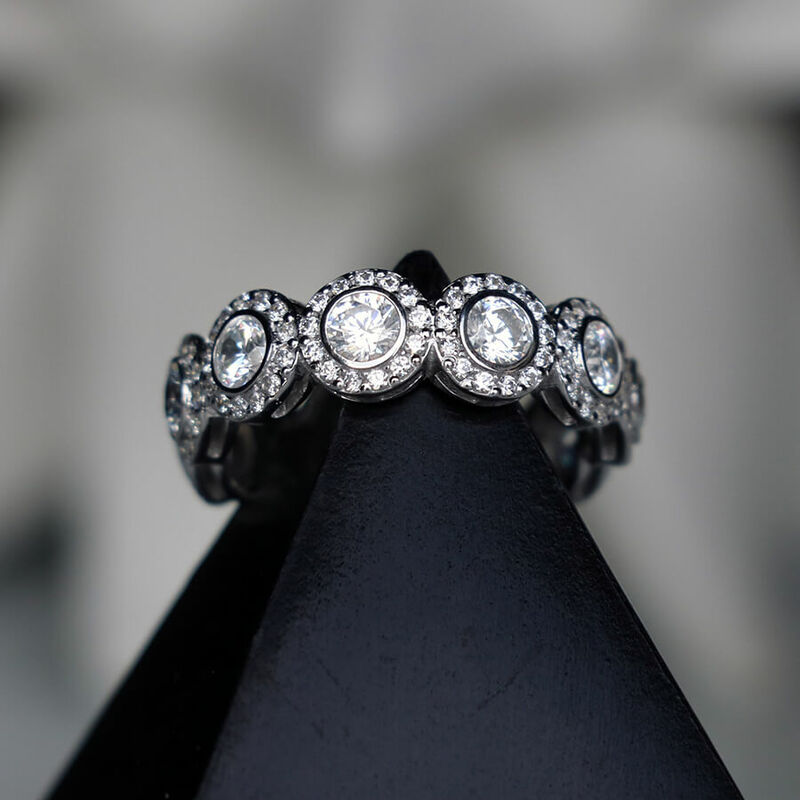 Adding accent stones on one of two intertwined bands lends more sparkle. It also enhances the meaning of two different lives joining together. A braided style band evokes strength and unity. The textured appearance of the band accents a petite center stone, creating an understated and elegant design. 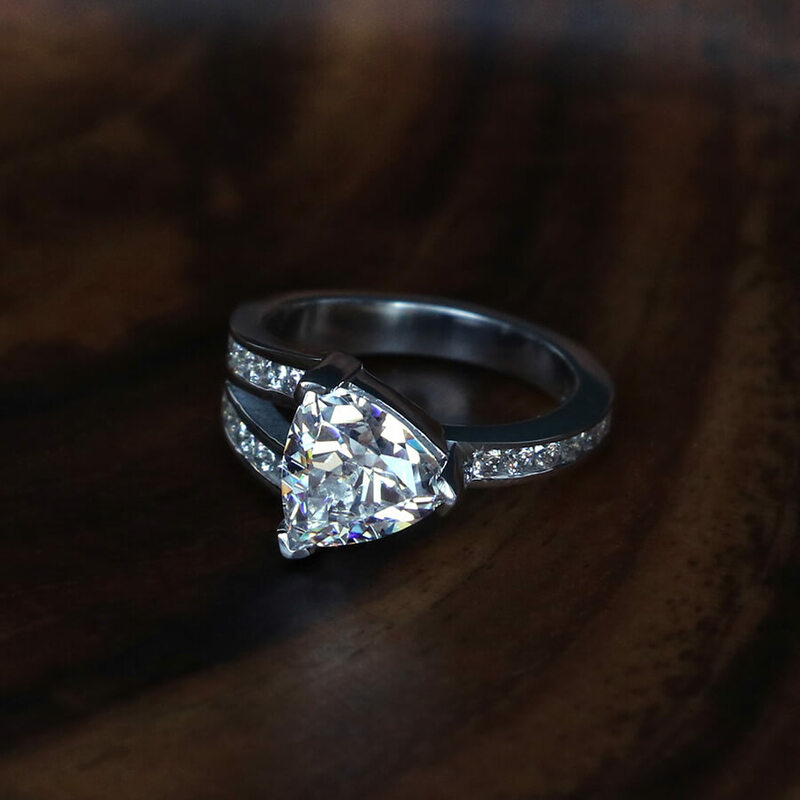 This year is about choosing what you really love, and we’re seeing more people go for elaborate bands without a traditional center stone design. 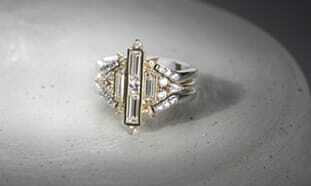 These can be worn as engagement rings, wedding bands or right hand rings. 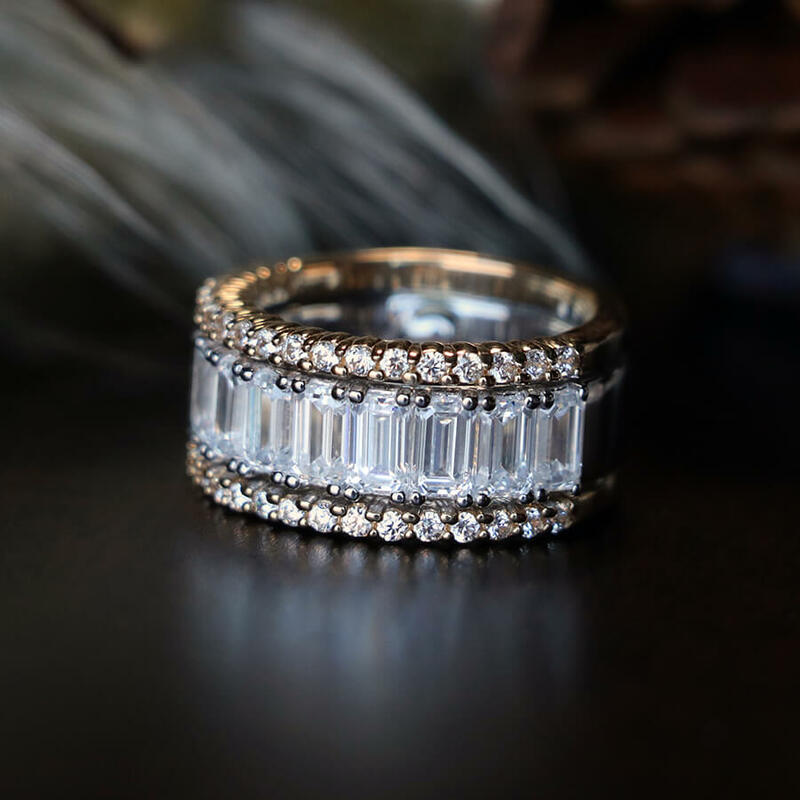 This band uses the popular halo design to great effect. The smooth center settings make it comfortable to wear every day. 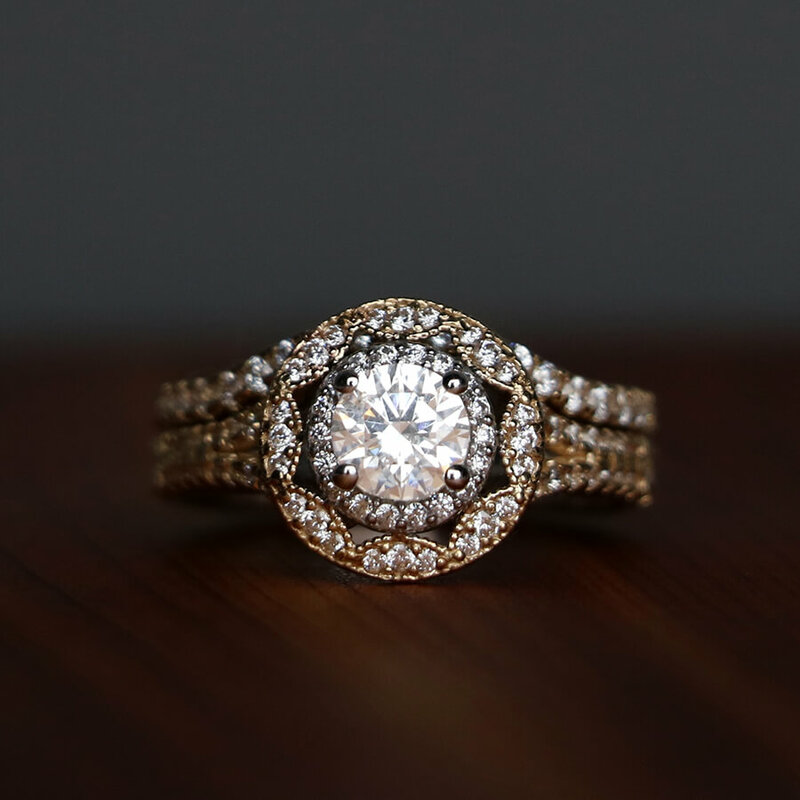 This bold design creates the look of three stacked bands. Two dainty bands in yellow gold encase a larger band with baguette stones in white gold. The halos in this band slightly overlap, which gives this design a slightly floral look. The smooth sections will fall between the fingers, making it comfortable to wear. Each of these trends can be used separately or combined together. This year, designs are all about how you want to show off your individuality and your own special relationship. I wouldn't mind having a pear cut. To be sure, it's asymmetrical, but is a classic, centuries -old style. Love it! The Las one is simply exquisite! Love it!